Lifestage Dog Food | Is Life-Stage Dog Food Good Value? It is a simple fact that what you put into your dog is reflected in how they look, act and feel. Getting the right balance of nutrients is not entirely simple and depends on a seemingly endless amount of variables such as breed, activity level, age and medical condition. Life stage foods are quite a modern phenomenon, developed to offer a more tailored approach to feeding your dog. The theory behind life stage foods is that they go much further than simply satisfying the nutritional needs of a dog in a particular age group. So do they really work or are they a marketing gimmick? Are you ignoring life stage foods to the detriment of your dog’s health? What are canine life stages? For the purposes of pet foods, life stages are split into three groups, and then divided again to make allowances for breed size and activity level. Whether you plan to feed your dog a natural diet or follow the advice of pet food manufacturers to the letter, you need to be aware of how different life stages effect the nutritional requirements of your dog. 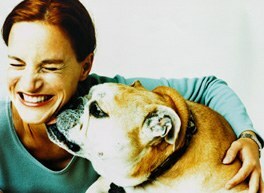 Claire Robinson-Davies of Purina pet care explains the importance of life stage diets. “The energy needed to support a dog as it goes through various life stages relates to physical demand and an individual dog’s metabolic rate. Certain life stages – gestation, lactation, growth – as well as hard work require energy above that of an average adult dog. Other life stages, such as the geriatric period, may require less energy. Canine Osteoarthritis – What Is It? By the way… love the magazine!